Shotgun cards typically have elastic loops for retaining the shells. This works well unless the elastic starts to stretch out a bit. D-Rmor Gear’s new FragTuf Enhanced Shotgun Cards replace the elastic with MIL-A-A-55301 IR/Berry compliant webbing. 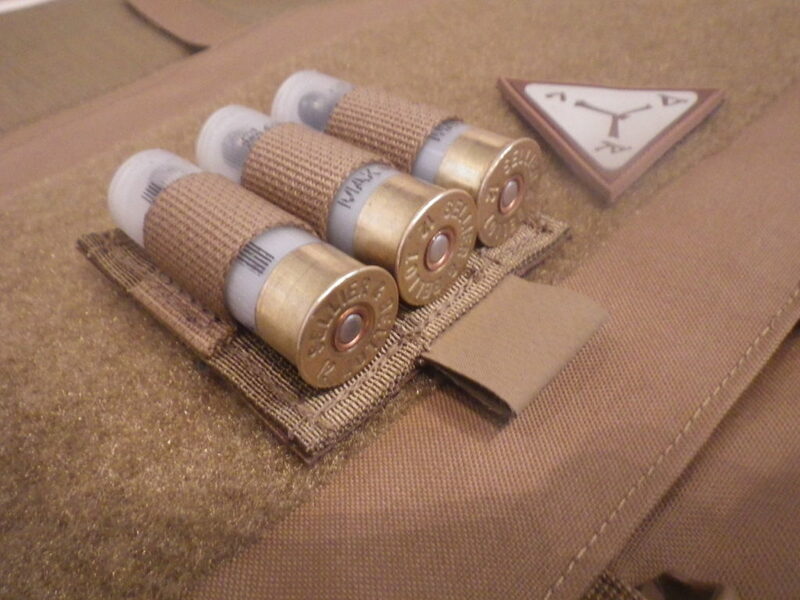 The FragTuf Enhanced Shotgun Cards also feature a hook material backing so they can be mounted in a variety of locations including on the shotgun itself. They have a hank pull tab to make it easier for the user to peel the card from the loop surface. Like most things that D-Rmor Gear makes, the critical seams are dual-stitched mil-spec Nylon and mil-spec Kevlar thread. Check out the D-Rmor Gear website for more details: D-Rmor Gear.